In a Nutshell: Most Americans feel helpless in a political system that sees the vast majority of campaign contributions coming from the wealthiest 1% of the public. To reopen politics to the masses, Crowdpac offers a free platform where people in the US and the UK can crowdfund campaign donations for free. Donations can be made in any denomination and are only collected once the candidates officially enter their chosen race. The idea is to level the playing field and once again make political candidates a true voice of the people. Cyndi Ralston, a teacher in Oklahoma for more than three decades, hadn’t considered running for office until a few months ago. Although she’s always been politically active, she considered teaching to be her public service. But recent school budget cuts inspired her to engage more actively with her local political landscape. And when current House Representative Kevin McDugle released a video she found to be denigrating to teachers and administrators who’d gone to the Capitol to protest the budget cuts, she couldn’t help but throw herself into the political ring. Ralston’s story is one of the hundreds featured on Crowdpac. The free platform allows people in the US and the UK who otherwise wouldn’t have the financial backing to run for political office to promote and fundraise for their campaigns. The Certified B-Corporation, non-partisan Crowdpac platform has helped thousands of campaigns crowdfund millions of dollars since it was founded in 2014 by a trio of entrepreneurs with experience in raising funds for public causes. Donors can make campaign contributions in any amount and feel comfortable that their money is being appropriately used since the funds are only collected once candidates officially enter their stated race. The service aims to even the playing field and give a political platform to anyone, regardless of financial standing. Traditionally, politics in the US has been the domain of the privileged. Money may not necessarily buy votes, but it can sure help run a noticeable campaign. That reality is not lost on a majority of Americans. According to a 2015 poll conducted by The New York Times and CBS News, 84% of Americans believe that money influences political campaigns too much. Furthermore, 46% said the campaign funding system needed to be completely rebuilt. Anyone interested in running for office can create a campaign on the Crowdpac website and begin accepting donations. Crowdpac hosts campaigns for diverse politicians across every level of politics — from Arnold Schwarzenegger to teachers, attorneys, scientists, and current government workers. 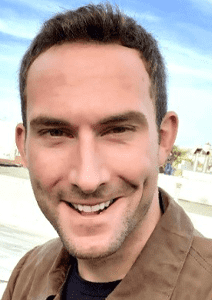 Mason Harrison is Crowdpac’s Vice President of Communications. Harrison noted that over half of the money in politics comes from the wealthiest 1% of the population. “If we can raise that number by a couple of percentage points, we can change the people who run, which translates to a better democracy,” he said. Creating that shift requires a grassroots effort that changes the current societal impression of politics as being only for the wealthy. Allowing candidates to set up a free campaign is the first step in improving the pool of candidates in local, state, and national races. The second hurdle is making it easy for supporters to make financial contributions in any denomination to candidates. And since donors assume responsibility for credit card fees, every cent of donations goes entirely to the candidate. “We provide a very light-touch way for people to get involved in the political process,” Harrison said. In addition to its nonpartisan roots, Crowdpac has a firm policy against running campaigns associated with hatred or exclusion. The company vets every campaign to be certain they meet its code of standards, but doesn’t censor political beliefs as a whole. The front page of Crowdpac’s website highlights trending campaigns that are “closing in on their goals or are timely and topical and likely to be highly interesting to other users,” Harrison said. Trending campaigns are selected through an intricate data and traffic analysis process. For example, Cynthia Ralston received top billing on the website for three days. Then James Courage Singer took the featured spot. Singer, an educator and activist from Utah, aspires to be the first Navajo Indian to serve in Congress. At the time of publication, Singer was 74% of the way to his $10,000 goal. The $7,305 already pledged came from 223 unique donations. Those contributions start at $3, and include $10 and $50 donation categories, as well as an area to donate any denomination a supporter chooses. Below the featured candidate on Crowdpac’s website are other trending campaigns, and an explore campaigns tab where users can filter categories to view campaigns that include women candidates, candidates running on an education platform, or millennials running for office. Grouping candidates and their campaigns categorically, or by popularity is also strategic. Crowdpac recently launched a beta website in the UK with a donor model similar to its US counterpart. Two of the company’s co-founders are Brits, including Steve Hilton, formerly a top advisor to British Prime Minister David Cameron, and Paul Hilder, who co-founded the British progressive movement 38 Degrees. 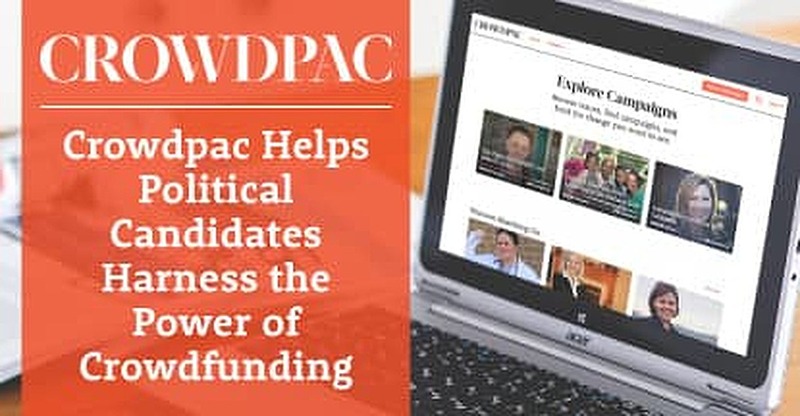 Crowdpac provides free training programs across the country to encourage people who are thinking of running for public office and to support those who already have campaigns. The events feature seminars on how to be a candidate for public office and lessons with best practices for crowdfunding. Harrison said Crowdpac will spend the remainder of 2018 focusing on the upcoming midterm elections and ramping up its tools for encouraging new people to run for office. 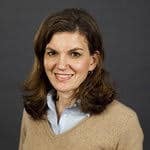 For teacher-turned-politician Cyndi Ralston, the support she received on Crowdpac meant the difference between standing by and watching Oklahoma schools receive insufficient funding and standing up in a public forum where her voice, and the voices of her peers and students, can be heard. After all, isn’t that what politics is supposed to be about?